Our friend Lewis Hanna had an art exhibition at Allendale Forge Studios, so we drove south on the last Saturday of August. 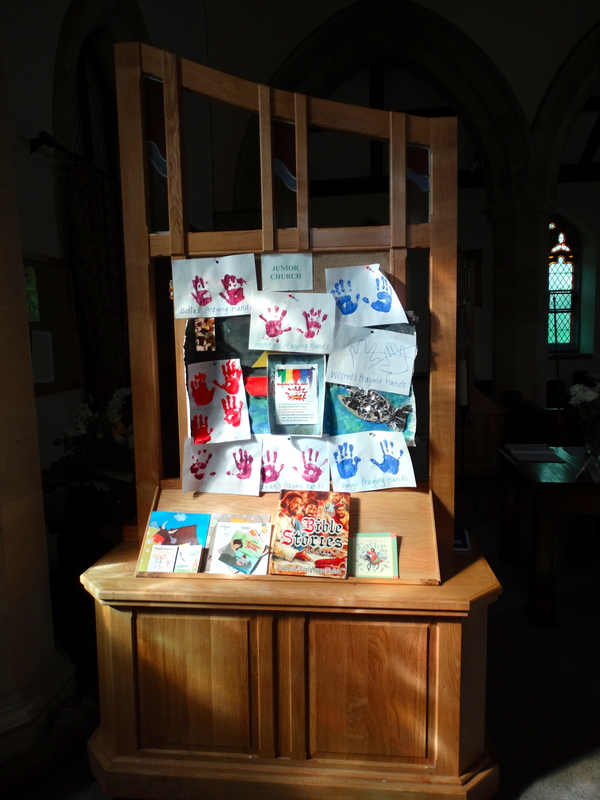 A small exhibition of his wonderful work. The cafe is wonderful too. 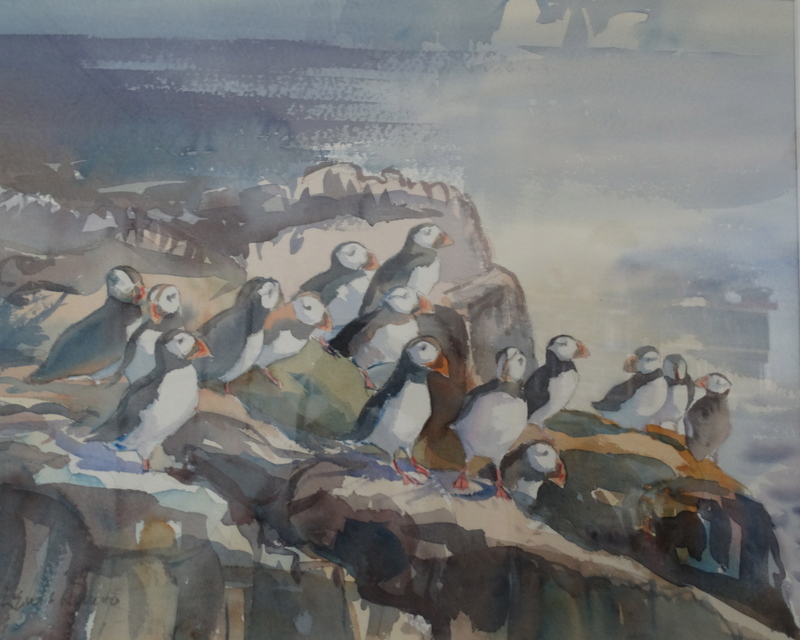 Here is the puffin picture which we own – it is not for sale. The market square of Allendale looks derelict since the Dale Hotel stands derelict – and apparently has done for 9 years. It must be very depressing trying to keep the village looking good, trying to attract tourists and business, when a major building is decaying. The bright yellow Tynedale links bus turned up – it would be a lovely trip from Ponteland to Hexham on one yellow bus, then another up the valley. The church of St Cuthbert looks far more lively. NY837560 – standing above the River Allen. The church website seems only to be a home page, with no details of when the services are. 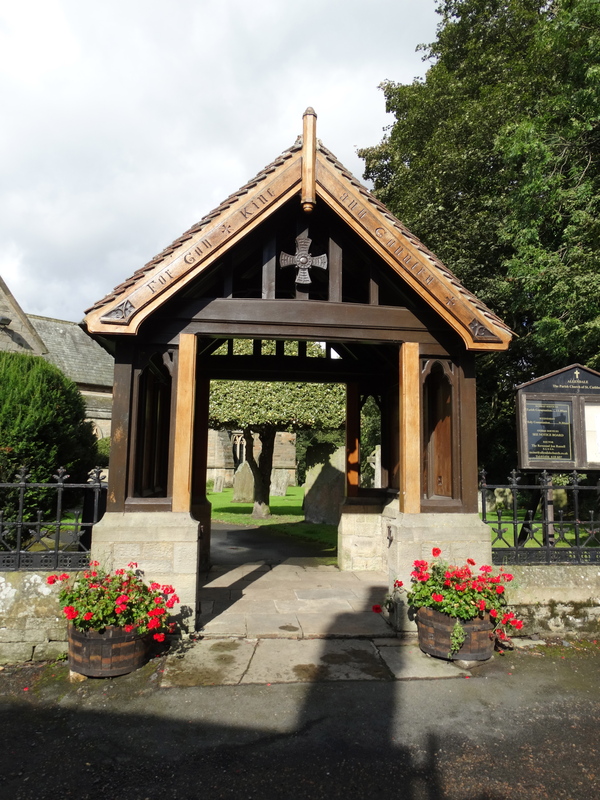 The guidebook has 44 pages – there ought to a prize for the longest guidebook in Northumberland. 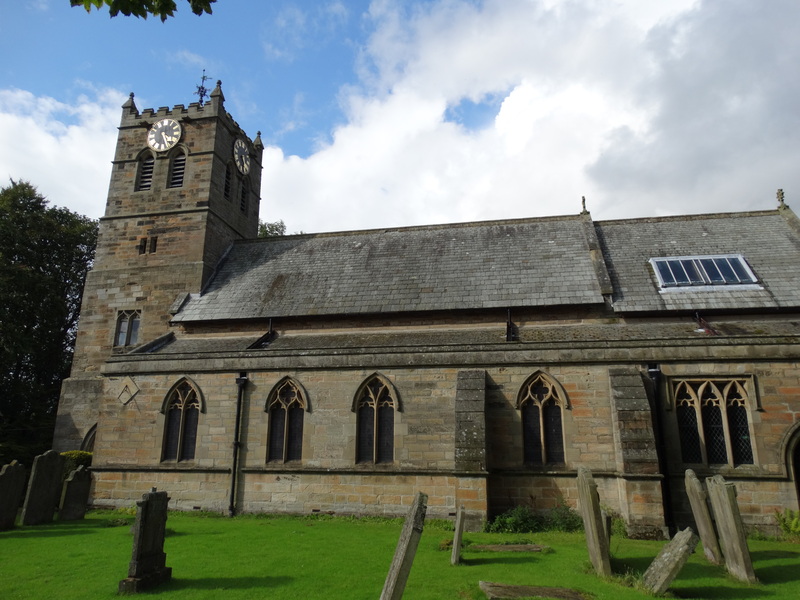 A church in Allendale was mentioned in a document of 1174 when the Bishop of Durham and the Archbishop of York came to an agreement (apparently there had been a dispute) – York got Allendale and the Hexham lands. 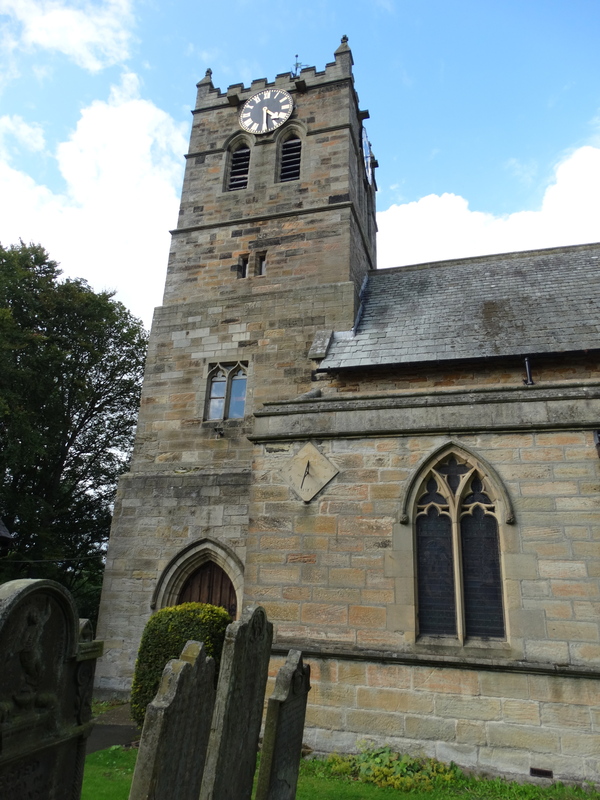 In 1837 it went back to the Diocese of Durham, then to Newcastle in 1882. There was a C14 chapel, with a new south aisle added in the C17. 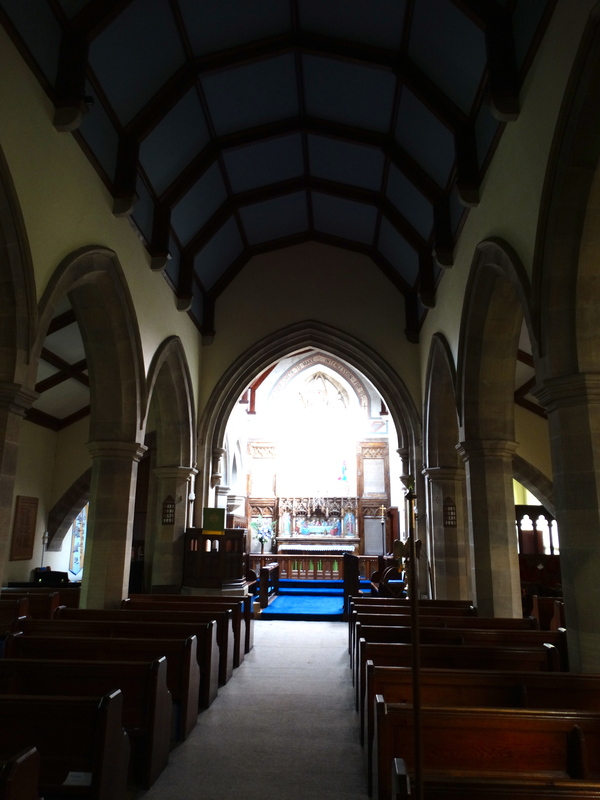 This new church was erected in 1807, and refurbished in 1873. Inside I found it quite a dark church. They did some work at the start of the Millennium making a library and children’s area. 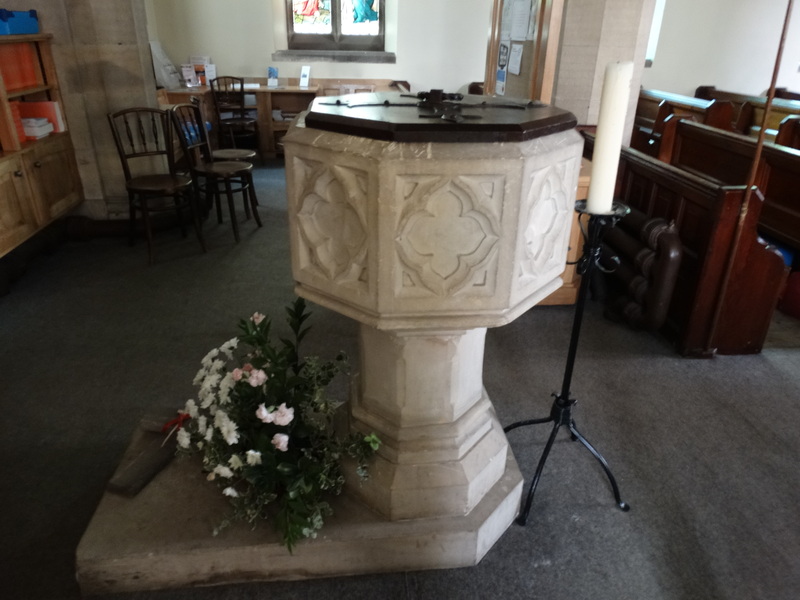 The font dates in 1870. 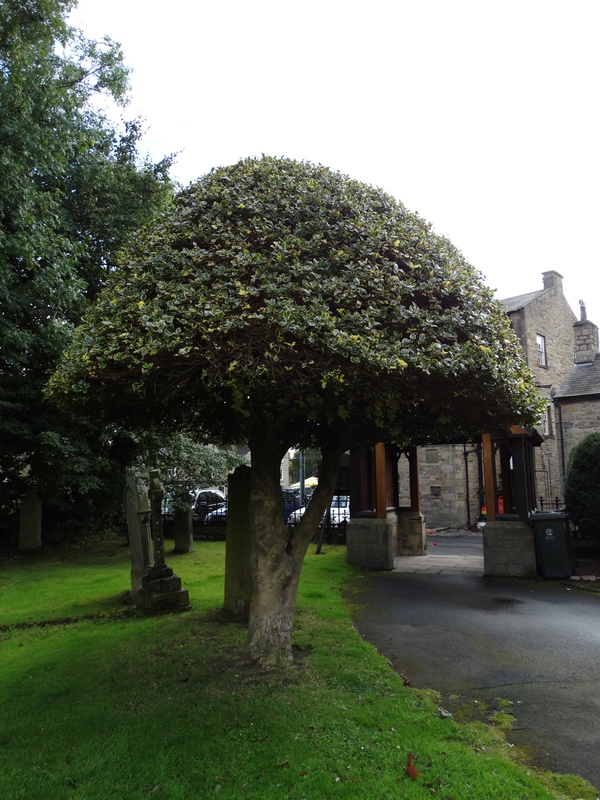 It was “erected in memory of John Arnison, son of George and Sarah Arnison of this town. 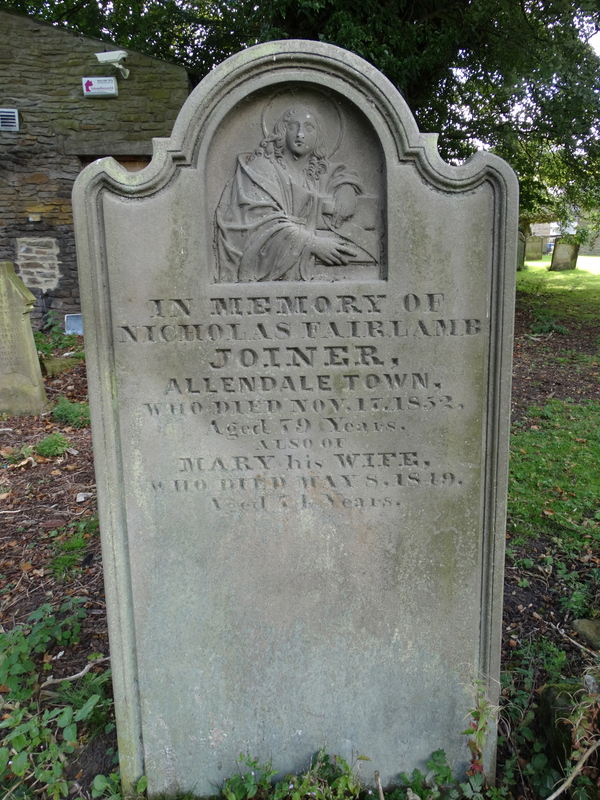 Born March 20th 1870, died January 2nd 1871.” There are several Arnisons buried in the churchyard – and I wondered how the surgeon felt when his son died at such a young age. 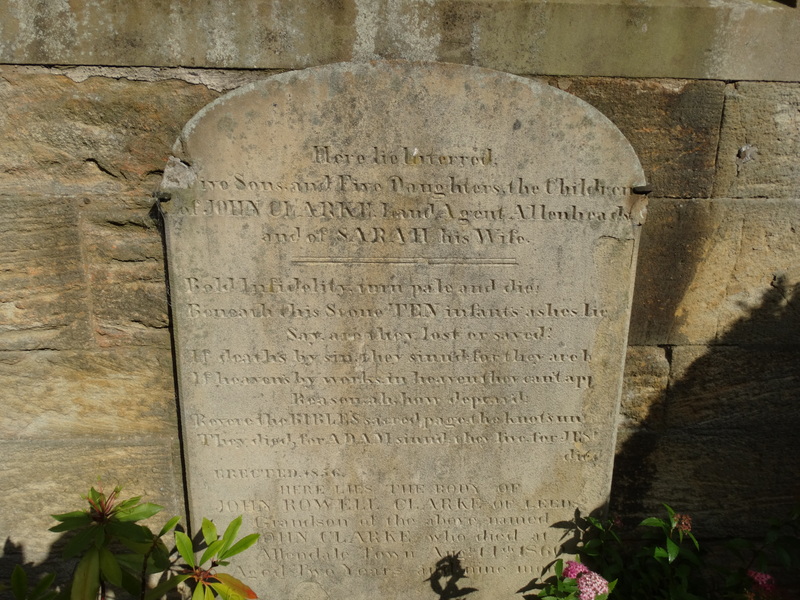 Outside the church door there is a headstone which is even sadder: “Here lie interred Five Sons and Five Daughters, the children of John Clarke , Land Agent Allenheads, and of Sarah his wife. … Erected 1856”. 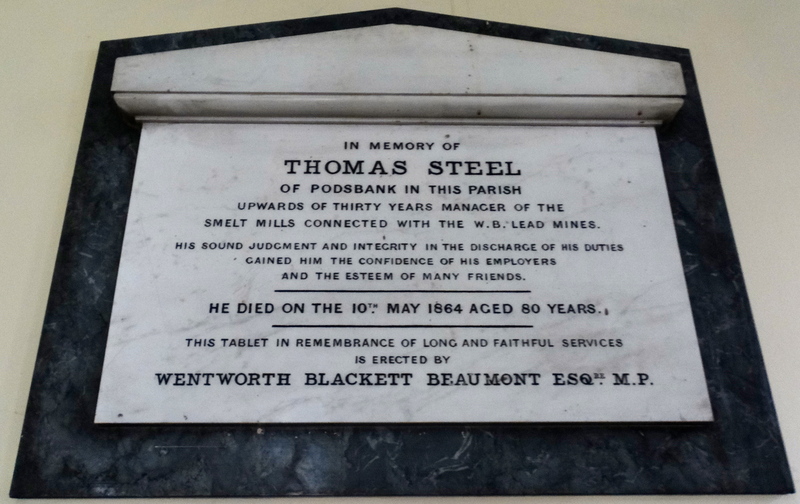 Inside this memorial tablet is to the Manager of the Smelt Mills – this was a very industrial area. Some nice Victorian glass. This is the Chatt window. John and Hannah Chatt lived at Moorhouses, a farm lying on the northern side of Allendale Town. Their son Thomas paid for this, and the church clock, in his will of 1906. Matthew 13.37 “He that soweth the seed is the Son of Man” and Matthew 13.39 “the harvest is the end of the world and the reapers are the angels.” It is a big clock! 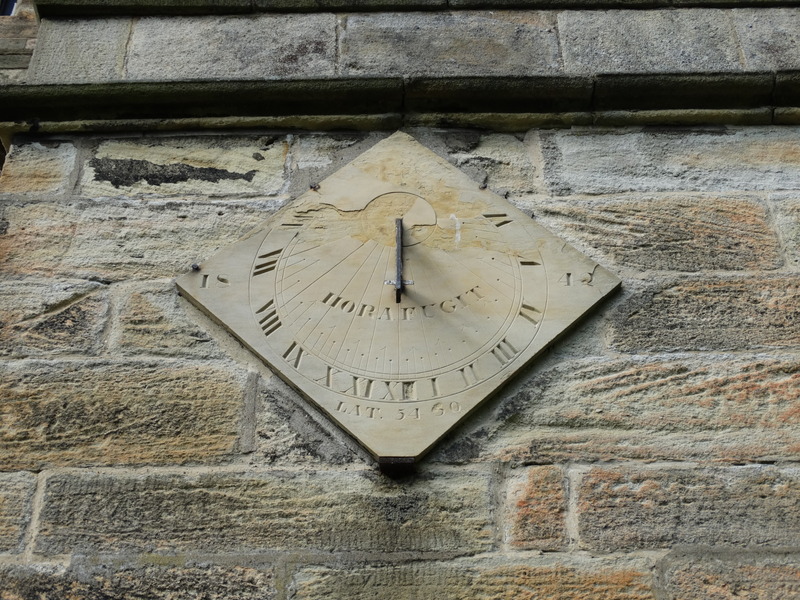 The sundial, nothing to do with the Chatts, shows a latitude of 54 degrees 50 – so Allendale is almost the centre of Britain. 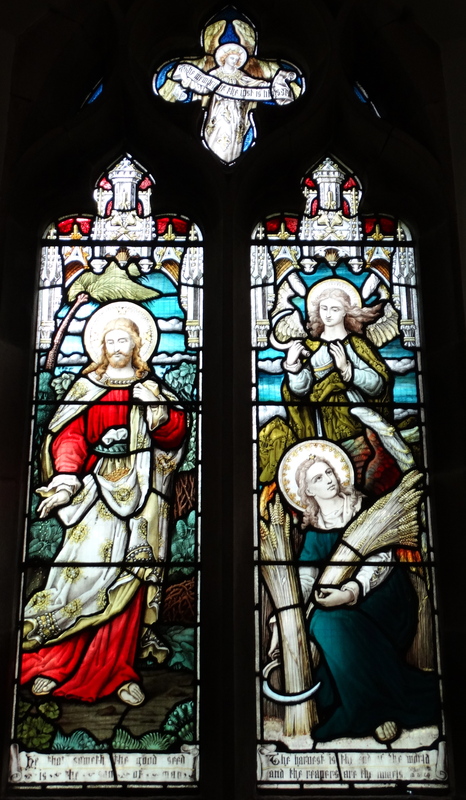 The Arnison window has the theme of “Be thou faithful unto Death”. 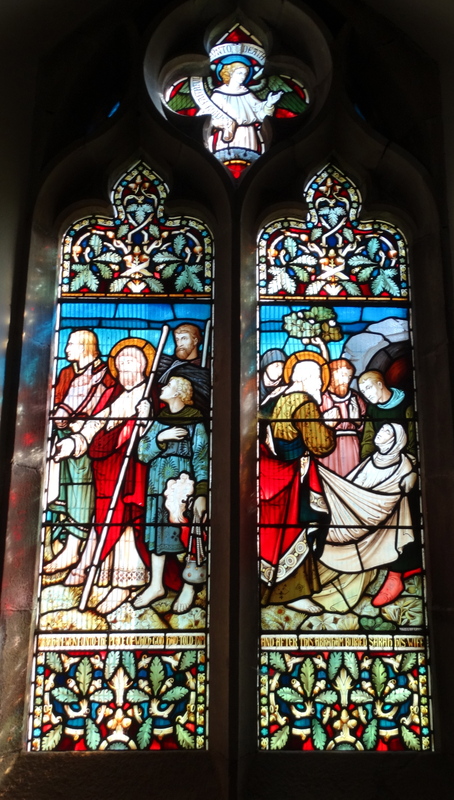 On the left we have Abraham with a mile and a boy carrying a pot, on the right we have a man and a woman watching Abraham and another man carrying Sarah in a shroud into a cave. It was apparently made by Powell Brothers, Leeds. 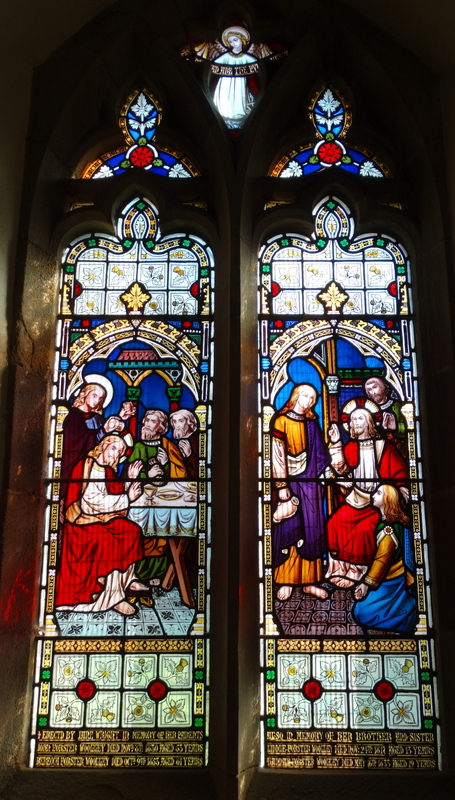 This window in the south wall shows Jesus being anointed at Bethany. On the right hand side Jesus is blessing her. 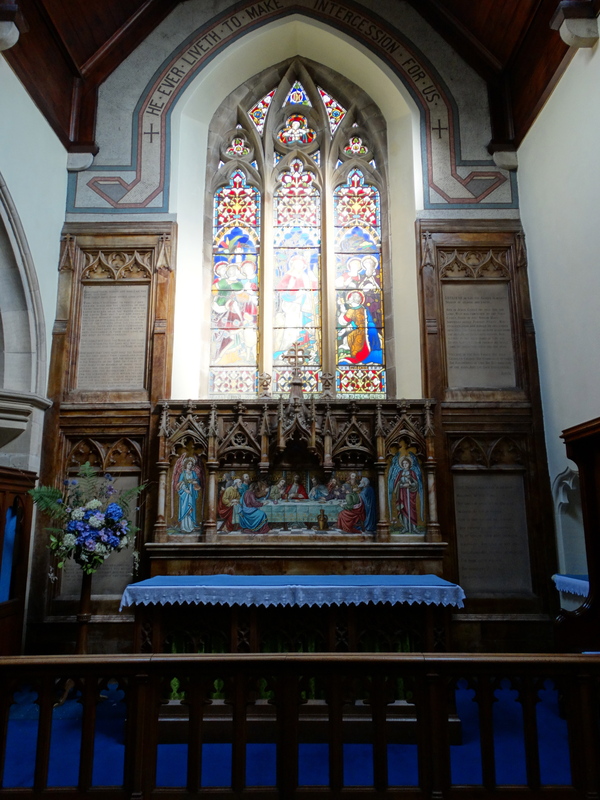 The Mason Memorial Window is a memorial to the Reverend Richard Evans Mason who became Rector of Allendale in April 1873. He served for 27 years before his death in 1900. It was designed by Atkinson Brothers of Newcastle. 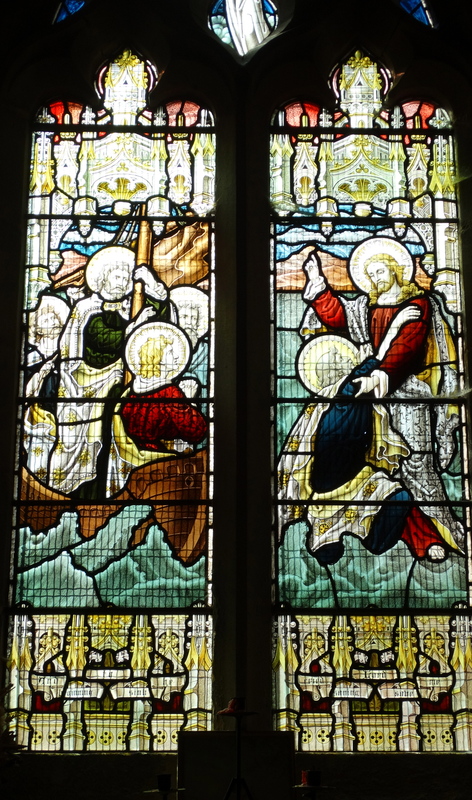 On the left is Jesus walking on the water, on the right Jesus rescues Peter from the water. 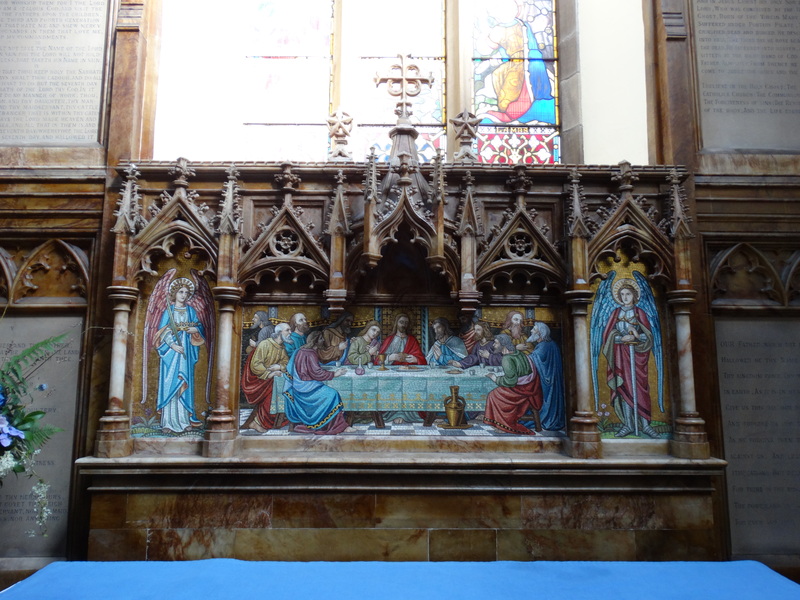 There is a rather splendid reredos at the East end – installed after the death of John Clarke. 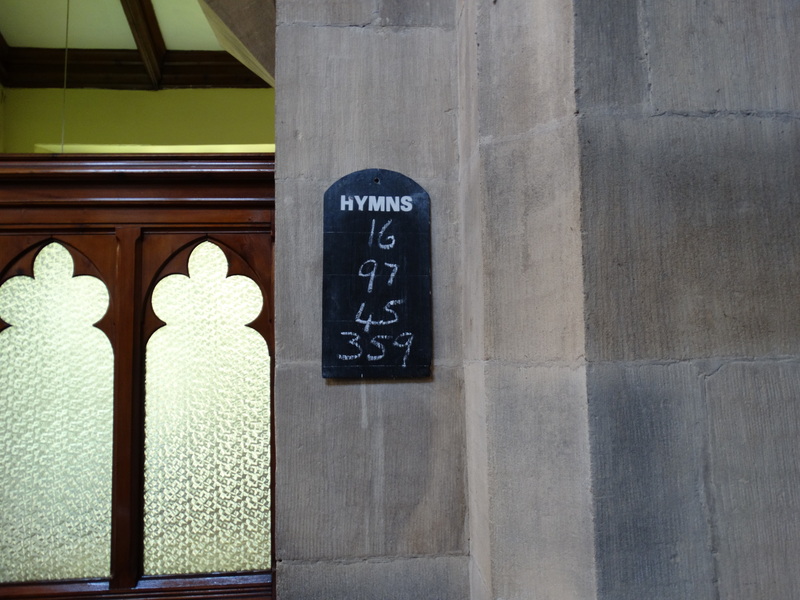 I have never seen a chalk hymn board – I remember Mr Scoble, our geography teacher, who used to throw chalk at misbehaving boys. If he got really cross he threw the board rubber. On one occasion it went through the window. Mr Scoble, Mr Branscombe and Mr Bye – amazing Geography teachers at the Boys’ Grammar School in Cambridge. They were the ones who inspired me to read Geography at Cambridge – before changing to Theology. (There are days I wish I’d stuck to Geography!). 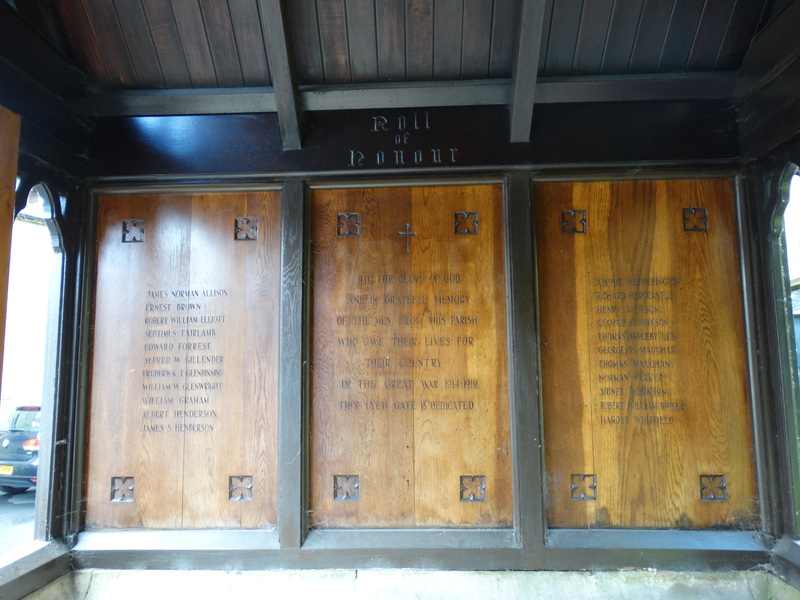 Walking out of the churchyard you pass a lovely yew tree, some more fascinating gravestones, and a War Memorial Lych Gate – it was erected by the British Legion as a memorial to WW1 dead, and then the names of the WW2 men were added. It has recently been restored. They have done an excellent job.